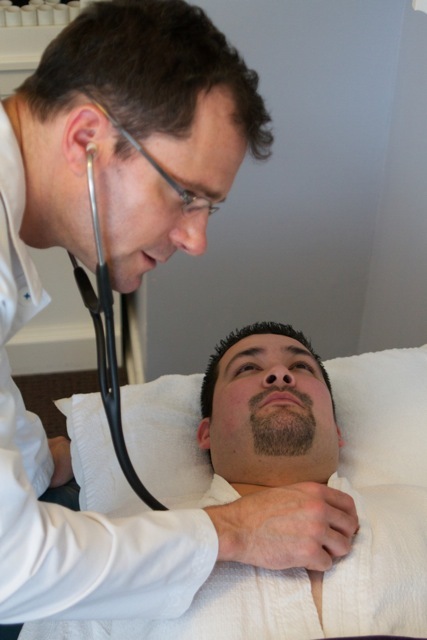 At the Portland Clinic of Holistic Health we treat a wide variety of patients with a wide variety of complaints. We provide care to men, women, newborns, children and adolescents, seniors – from all walks of life. We treat skin disorders, muscular-skeletal problems, autoimmune disease, cancer, infections of all kinds, female complaints, etc. Essentially any condition that can be taken care of in an out-patient environment. However, in reality we treat people not diseases. We work to build health so that disease states improve. By helping the body to heal we are able to harness the self healing capability of the human body. Sometimes this includes conventional medications along with natural therapy and sometimes natural therapy alone is all that is required. Sometimes we are the lead physicians in the case and sometimes we are members of a patients team of doctors. The Portland Clinic of Holistic Health has been providing natural integrated cancer treatment and support for over 15 years with a wide variety of cancer patients. We use anti-cancer botanical agents, injectable therapies such as Iscador (the most well studied natural therapy against cancer), Intravenous Vitamin C, a natural chemotherapeutic agent, special Bio-Thermal Therapy® Treatments, and more. Mrs. Floralba Garzon was diagnosed in early 2011 with a fast growing Anaplastic Large T Cell Lymphoma of the skin. In 3 months it grew from nothing to greater than the size of a large fist. She has since been disease free, and in remission. She initially had come to our clinic with her husband, Guillermo, for integrative care. Mr. Guillermo Garzon was diagnosed with a primary Hepatoma, cancer of the liver, in early 2013. Initially given a prognosis of only 6-12 months to live, he came to our clinic for integrative care. He regained his health and reached disease free remission in 2014. He lived 5 more years until he sadly passed away in late 2018 due to unrelated causes. At PCHH we see digestion at the center of many conditions. So naturally we have a great deal of experience with IBS, constipation, diarrhea, Crohn’s Disease, Ulcerative Colitis, Stomach Ulcers, colon cancer, and more. Click here to read an article written by Dr. Eric Blake, “Naturopathic Physical Medicine Treatments for General Practice.” The article contains a case study from a patient presenting with ulcerative colitis, along with the prescribed treatment plan. Toxic metals should be removed — gently and effectively, until retesting shows a negative finding. We have several tools we use for that purpose. Bio-Thermal Therapy® Treatments, homeopathic dilutions of the metals, intravenous nutrients and glutathione, metal flush herbs, as well as diet and lifestyle changes are used in different combinations (depending on exposure) can be used in treatment. Asthma care under conventional treatment can be a frustrating cycle of inhalers and steroids. Using our combination of therapies and special breathing techniques we have helped reduce or eliminate symptoms in patients who have asthma from young to old and everything in between. Allergies are the reaction of an immune system that is not working properly. 80% of the immune system is in the digestive bed. By working on the digestive system and using homeopathic protocols to help the immune system regulate itself, we can break the debilitating cycle of allergies. Our Doctors have over 15 years of experience with elevated cholesterol, valvular heart disease, arrhythmia, angina, and more. Low thyroid function can cause fatigue, hair loss, constipation, dry skin, and more. Low thyroid function can also be involved with PMS, breast lumps, fibroids, chronic fatigue and other conditions. We have experience and results with both low and high thyroid function. Arthritis can hurt. A lot. There are various forms of arthritis. Some comes from wear and tear and joint breakdown and is called Osteoarthritis. This is usually because of chronic inflammation and various nutrient deficiencies coupled with ongoing mental and physical stress. It worsens as we age as our reparative mechanisms slow down. We use a comprehensive approach to arthritis by testing for foods that cause inflammation (and these vary from person to person), Bio-Thermal Therapy®treatments, nutritional support, detoxification, acupuncture and herbal and homeopathic medications. We also utilize a German system of injection therapy for pain relief called Neural Therapy. This special form of trigger point injection can significantly reduce pain in many cases. We will often combine this with Prolotherapy and Platelet Rich Plasma Therapy. These injection therapies help to resurface joint surfaces, heal cartilage and ligaments, and improve joint function. This potent combination of therapies can have a tremendous effect on reducing pain and inflammation and even restoring joint function. Other forms of arthritis are caused by the immune system attacking our own body. These auto-immune forms of arthritis have names such as Rheumatoid Arthritis or Psoriatic Arthritis. These types of arthritis have a different cause than Osteo-Arthritis. Because the have a different cause they require a different approach to treatment. In general there is a genetic risk, an intoxication internally of the body, and then an infection of some sort will trigger the immune system. The immune system with it’s genetic risk responds inappropriately in the haze of intoxication and starts an inappropriate reaction to our own tissues. We have special forms of treatment that can be incredibly useful in reducing the pain and progression and stabilizing and in some cases reversing and even for all intents and purpose eliminating the disease. We combine potent specially designed and clinically tested Chinese Herbal formulas in combination with specific dietetic regimens, nutritional concentrates that distract the immune system antibodies and reduce them, nutritional cleansing, Bio-Thermal Therapy® treatments, and infection screening and testing. We have walked many people off of conventional medications safely and effectively while improving their quality of life and reducing the arthritis symptoms. We have prevented many from having to use conventional biologic therapies by controlling the disease safely and naturally. Even patients who have been on biological therapies for years have benefited from our care. Chronic Fatigue Syndrome can be debilitating. The exhaustion, muscle pain, fatigue that is worsened by activity can be debilitating. Our comprehensive screening tests for health of the adrenal glands, evaluation of chronic infections, breathing pattern disorders, chronic inflammation, food intolerances, intestinal overgrowth of bacteria and more are useful screening tools for identifying the underlying causes of the condition. Additional specialty tests are sometimes ordered on a case by case basis. Therapeutically, based on your individual workup, we routinely use a combination of breath retraining physiotherapy to improve oxygen utilization for better energy, vitamin nutrient injections and IV nutrient drips, along with Bio-thermal Therapy®treatment to rehabilitate our chronic fatigue patients. We also utilize FDA approved electrical stimulation that improves mood and sleep and helps to reduce pain. At our clinic we evaluate nutritional needs, common underlying causes related to fibromyalgia including advanced infection screening, thyroid testing, evaluation for respiratory dysfunction, cranial alignment, food intolerances, heavy metal and environmental exposures, etc. Therapeutically we combine intravenous nutrientsand intramuscular nutrients with Bio-Thermal Therapy®, manual therapyand respiratory rehabilitation, natural supplements, acupuncture and more. We also use an advanced method of upper cervical muscular treatment that can profoundly influence these conditions. 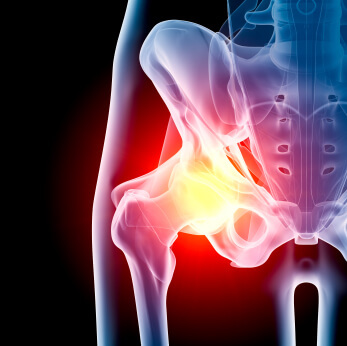 At PCHH, our physicians have years of experience and results treating chronic joint pain. The Portland Clinic of Holistic Health has numerous tools that help to heal from sports injuries and help you perform your best. Whether you are a weekend warrior, a regular exerciser, a student, amateur or even professional athlete we can help. Our extensive expertise in naturopathic physiotherapy, hydrotherapy, electrotherapy, acupuncture, natural supplements, spinal adjustment and joint mobilization, soft tissue manual therapy procedures, prolotherapy and platelet rich plasma injection therapy provides comprehensive therapeutic and maintenance tools to repair your body and optimize your performance. By finding the right combination of these safe and effective natural tools we can apply cutting edge sports medicine rehabilitation to heal injuries and optimize performance. With a decade of experience in prolotherapy and platelet rich plasma therapy we can heal severely sprained joints, torn muscles, injured ligaments, tendons, menisci, reduce chronically inflamed joint and heel spurs, reduce post surgical pain and improve post surgical joint function. The sooner we start building healthy habits in our children the better. We even begin in the womb with our pregnant patients with proper whole food nutrition and the routine use of Bio-Thermal Therapy® in the first and third trimester to help with a safe healthy pregnancy. Women who have delivered both with or without our care and treatments will tell you there is a difference. We offer exams, provide vaccination counseling and alternatives, and treat all manner of childhood complaints – from colic in infants, to developmental delays. Asthma, ear infections, respiratory infections, skin issues and other common childhood complaints. We also help to restore the health of the chronically ill children that is unfortunately so common today. At the Portland Clinic of Holistic Health we have a comprehensive approach to helping women get healthy and stay healthy. We provide routine services such as women’s health exams, pregnancy support, pap tests, ordering ultrasounds, lab tests, hormonal testing, etc in addition to our comprehensive holistic workups. We have experience with the safe, natural and effective treatment of uterine fibroids, ovarian cysts, endometriosis, PMS, breast, uterine, and ovarian cancer, menopausal complaints, infertility, heavy uterine bleeding, and a whole host of other female complaints. Our goal is to assist our patients in the best outcomes for their health using the right combination of therapies. Our clinic has over 15 years with aiding in men’s health. Through a series of whole body treatments we help men dealing with cholesterol, heart disease, weight gain, BPH, erectile weakness, prostate cancer and many more. At the Portland Clinic of Holistic Health natural support for a healthy pregnancy is an area that we certainly enjoy being of service. The mother’s health and nutritional status is paramount for a healthy pregnancy. We start with nutritional guidance to support the growing baby as well as supporting the changes happening to mom’s body. Mom avoiding her food intolerance is an important step for healthy pregnancy as well. We routinely recommend a series a Bio-Thermal Therapy® Treatments in the first and third trimester. These treatments are safe and gentle and have been used for decades to ease pregnancy complaints, reduce complications, assist with the retention of the baby early in pregnancy, preserve kidney function in the mom, reduce morning sickness and more. The first trimester treatments improve circulation to the uterus, help with retaining the pregnancy, reduce morning sickness, and are designed to improve blood sugar regulation, liver and kidney function. The series in the third trimester also helps improve kidney function, reduce the aches and pains of being more fully pregnant, and prepare the mom’s body for an easier childbirth. Developed and in use for over 100 years for this purpose, these treatments are a blessing for pregnancy. Anxiety and depression can seem like insurmountable obstacles to enjoying your life at its fullest. Like all illness, mental or physical, they are complex conditions with a vast array of causes. Oftentimes, Doctors will indicate the presence of a "chemical imbalance" and prescribe drugs in an attempt correct it. We take a deeper and more targeted approach to help patients, regardless of whether or not they are on prescription medication. As you likely already know, Anxiety and Depression can be provoked and escalated by emotional stressors. What is less commonly understood, but equally impactful, is the effect physical stress caused by chronic inflammation and leaky gut. We use a multitiered approach in our treatment of these illnesses. We always are happy to offer integrated care for patients who are already receiving treatment from different providers. We focus on adjusting and supplementing the diet to ensure the body is properly nourished and removing food intolerances, prescribing herbal medications to balance neurochemistry, and using the CES-ultra (FDA cleared device for balancing serotonin). Our biggest tool is the system of Bio-Thermal Therapy® treatments to help the body heal, reducing inflammation, and treating contributing factors like Chronic Hyperventilation Syndrome.